Its time! 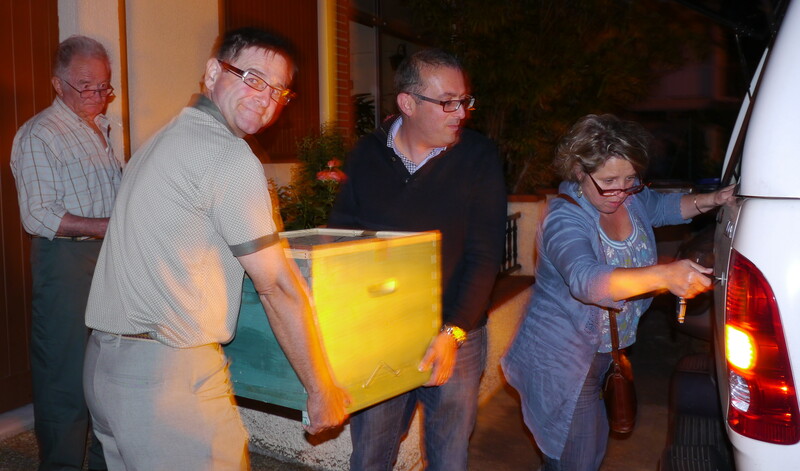 The call came in to say that the hive was ready to be picked up, and brought home. 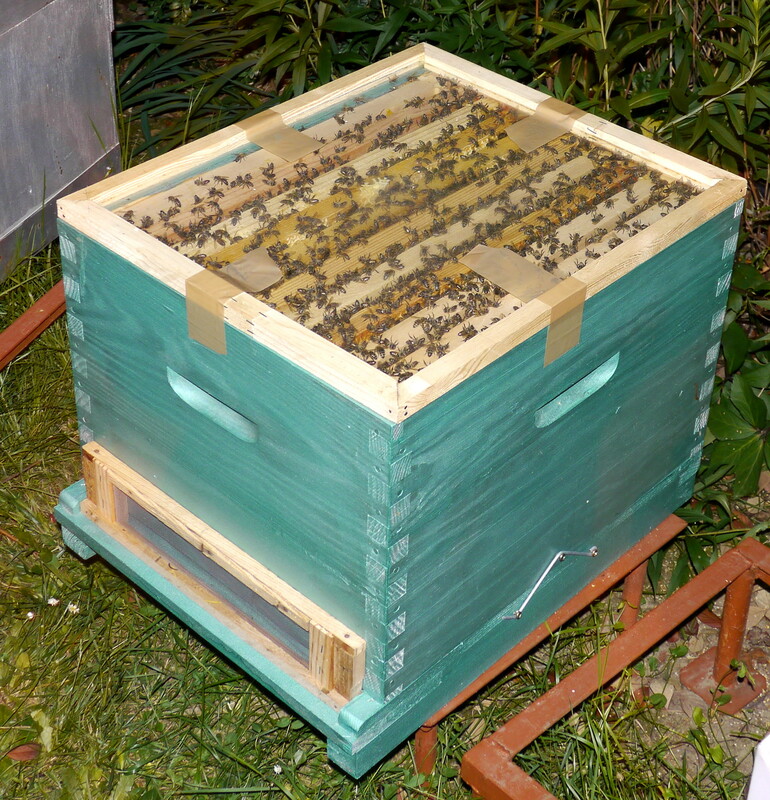 So, off we all trot to Colomiers, leaving it till 10 o’clock at night, giving the bees chance to make it back home before being displaced by some 30 or so kilometers. 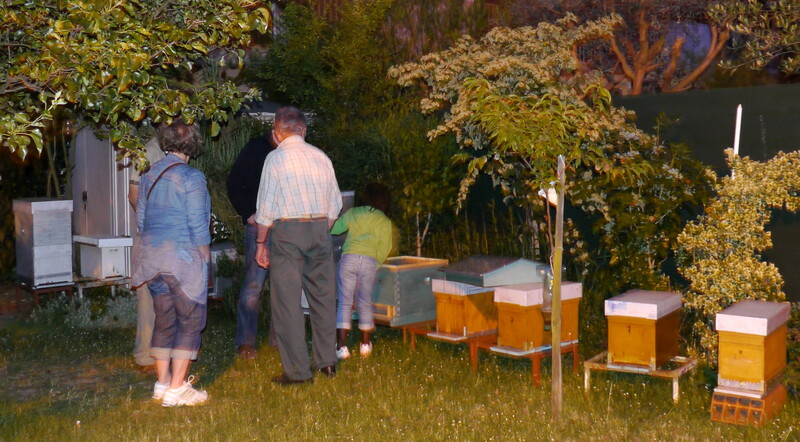 The Venerable Bee-de led us out into his garden, where he keeps the small nursery hives (ruchette) and those hives being populated for the first time. Luckily he had kept the perspex lid on my hive – which allows a fabulous view into the inner workings, all in relative safety. With this lid taped firmly in place, it was then carried oh so carefully to the Hilux, a sensible choice of vehicle given the barrier between the cockpit and the back. Before leaving we were treated to a tasting of the latest honey harvest – a mix of acacia and rapeseed- yummy, and hopefully a taste of thing to come. A short journey through the forest and we reached home – time to unpack the precious cargo, and carry it over to Bee Square. In general the hive seemed calm and unbothered by the ordeal – there was a handful of grumpy bees at the front door, but the rest were quiet. We wisely decided to wait till every last one had gone to bed before attempting to remove the front grill… time then for a well-earned bee-r.